I pulled my camera out with no plan really in mind. 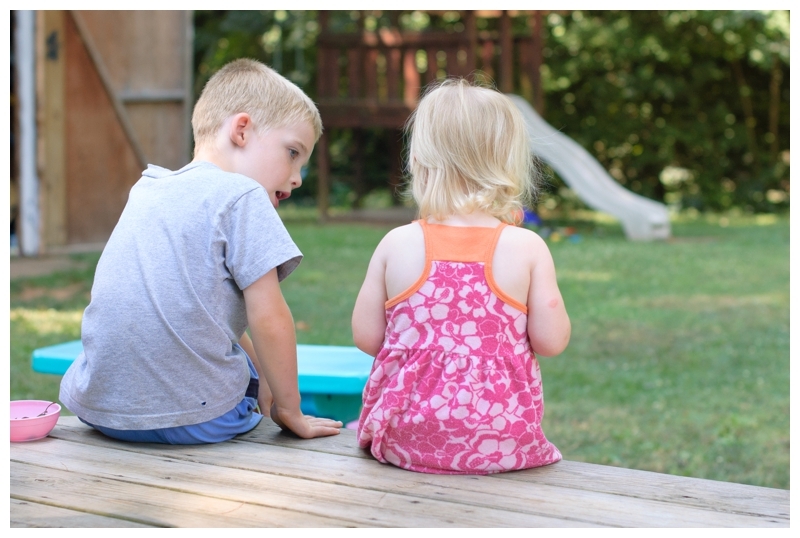 I'm so glad I did, because I captured my kiddos having some backyard fun. 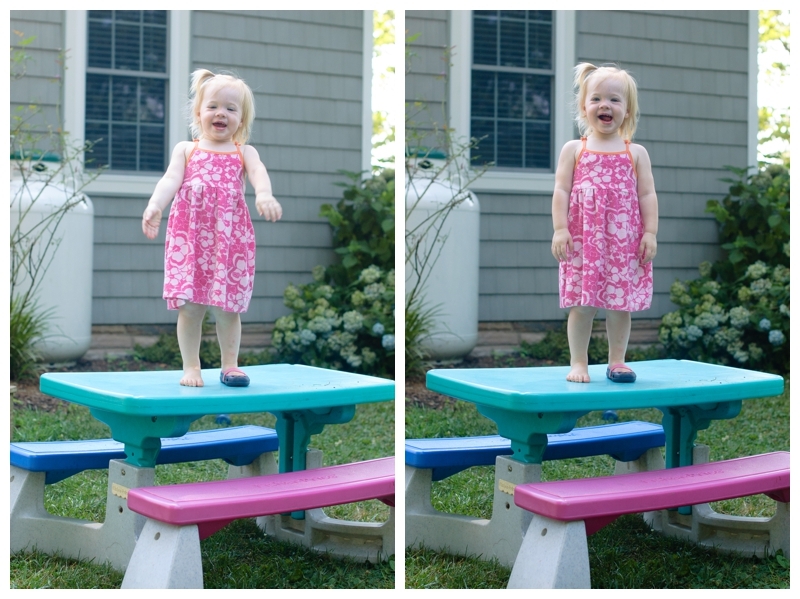 Sophia, sporting one shoe decided to stand on the plastic picnic table, looking very proud of herself. 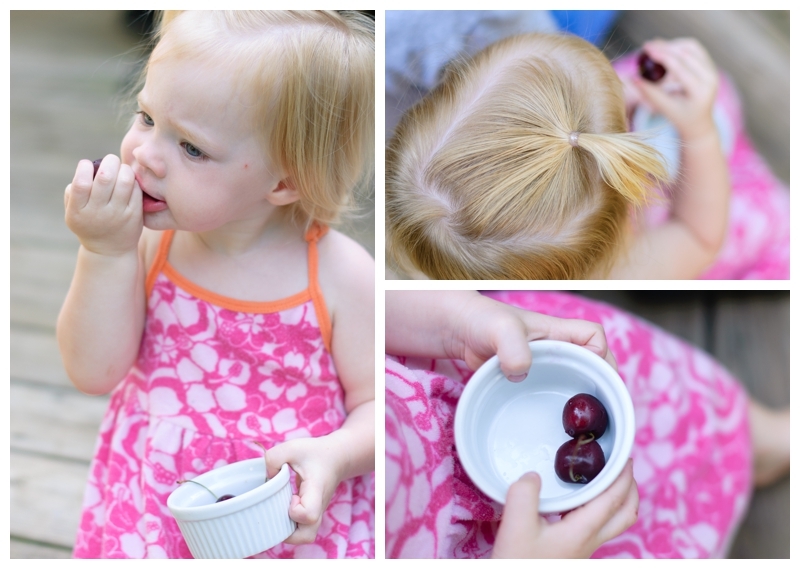 The neighbor's corn is tasseling, cosmos flowers are blooming, and we had a little cherry snack. Sophia went up behind her brothers and gave them a hug around the neck. Oh my goodness, such cuteness! Then I captured something I've wanted to for a while: my boys' freckles and eye lashes. Their freckles have gotten darker with the summer, like a sprinkle of cinnamon dust. I just want to capture the sweetness of this little boy stage.